I admit to having my doubts about what National Geographic was up to when I first heard about the show. I even wrote a blog in which I pondered about this being another retrograde reality show on the region. I worried about the fact that the pastor’s last name was “Coots,” because I’m sensitive to the fact that people might poke fun at what they saw as a “hillbilly named ‘Coots. 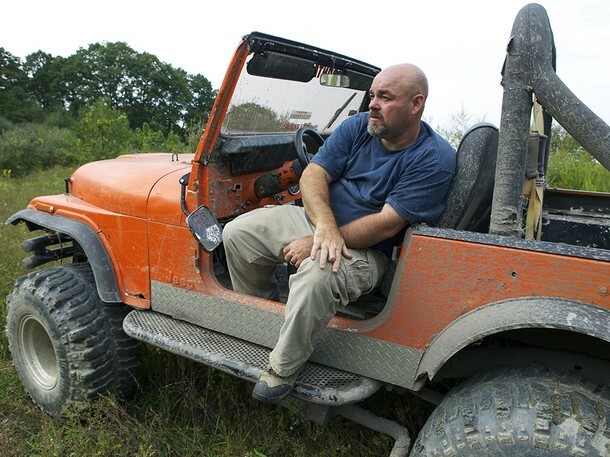 '” I’m originally from Appalachia, so I know the cruelty that people bestow upon hill people. So, I watched several episodes of “Snake Salvation.” With a cynical eye at first. But my cynicism gave way to sincere interest and even appreciation. 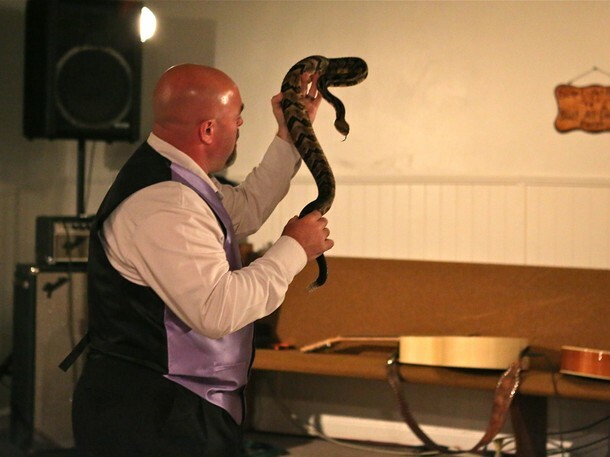 Because what I saw was a show that took seriously the faith and conviction of Jamie Coots and his family and of his protegé Andrew Hamblin, the pastor of another snake-handling church in nearby LaFollette,Tennessee. The series, I believe, helps viewers better understand their religious beliefs, which are similar to Pentecostal sects throughout the South, save one difference–the emphasis on Mark 16:18 on taking up serpents. And unlike TLC’s “Here Comes Honey Boo Boo,” Coots and his family do not act like, nor have they been made to look like, buffoons. Pastor Coots wanted the viewers of “Snake Salvation” to understand that, as people, they were more than about hunting and handling poisonous snakes. And while the show emphasizes that part of their faith, one also can surmise that these are people who love and care about one another and who have daily challenges beyond finding snakes for a church service. Theirs is a deep conviction, and while I personally do not hold their views about religion or snakes (or the role of women, for that matter), I can respect what makes us different. Unfortunately, not everyone does. In the few days since his passing, people have cast harsh judgement on Pastor Coots, his family, and this sect in the most insensitive way imaginable. Read some of the comments on the NPR post about this story and you’ll see what I mean. They don’t bear repeating here. National Geographic will air a tribute to Pastor Coots and I encourage you to watch it and consider what I’ve written here. And if you are so moved, read Dennis Covington’s book, Salvation on Sand Mountain: Snake Handling and Redemption in Southern Appalachia. The story of this man’s death should not lead people to judgement, but to a better understanding and respect for differences in faith. I am writing this reply when the NPR comment level is at 196. What I see in the comments is that they are both interesting and relevant. Some were quite well thought out and expressed; some are dialogs or group threads. Proportionately, very little of what I read was hateful or disgusting. There is humor, but it is not necessarily degrading. This event has promoted a useful discussion about faith and reason. There are a few relevant scriptural citations as well. People are genuinely conflicted about religion and science, belief and reason, the effect of reality TV, the question of why the snakes do not bite more often, and issues of legality, responsibility, free choice, refusing medical care, insurance problems, and mistreatment of wild animals. All of these issues are worth considering and discussing. Thanks for suggesting that we read the comments. It was worthwhile. I read when they were at less than 100 comments, so perhaps it got better. However, when I went over to the Washington Post to look, the very first comment was about how the gene pool had just improved. Believe me, those type of comments existed on the NPR site and others. Also, the comments on the NPR Facebook page were rather harsh. I agree that it’s a conversation worth having. Thanks for responding!